Powerful, beautiful and superior in every way, the Ford Mustang has always been a vehicle that screams, “Look at me.” And look at it every does. With sleek lines that give the impression of strength and authority all at once, there is nothing soft about the 2017 Ford Mustang. For this reason, it requires a driver that is just as bold, daring and wild as the car itself. With 526 horsepower and 429 lb.-ft. of torque, this mustang is designed to be kicked into high gear and hit the open road. There is no taming such raw beauty and power, something Ford knew when they build this vehicle to include pulse racing torque and a lion-like roar. If you’re ready to experience pure exhilaration, just slide behind the seat to this mustang, grip the wheel and put her in drive. The 2017 Ford Mustang drives unlike any other vehicle on the road. With an integral link independent rear suspension, the car experiences little to no road imperfections, providing for a smooth ride and precise handling. Accelerating and braking in this bad boy is better than that of any other generation of Mustang thanks to the vehicle’s additional anti-squat and anti-lift. 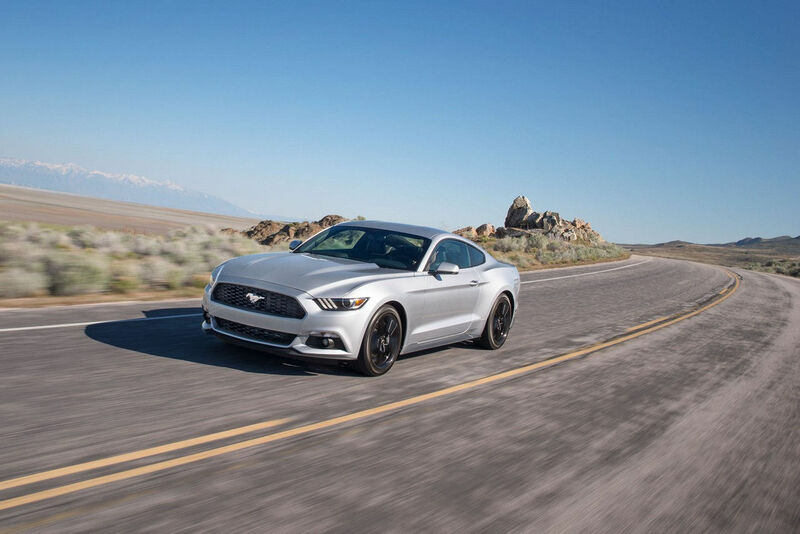 While Mustangs have always been designed for precision handling, this generation is by far the superior. Ford hasn’t deterred much from the original design of the 1964 Mustang, but it doesn’t need to. Ford revealed the sleek, sporty aerodynamic look at the 1964 World Fair, and people fell in love. Today, the car manufacturer continues to use standard HID headlamps, the signature LED tri-bar taillamps and dual exhaust pipes. The lines of the car still remain tough and rigid, and the handling, like always, is beyond superior. Ford Mustangs aren’t for everyone, but they are for the wild at heart. If you fell in love with the Mustang’s sleek lines and loud roar, head on over to Petrie Ford to shop our 2017 Ford Mustang collection.